Tilt is an undesirable psychological state in which a player’s emotions interfere with decision making. Shorter version: tilt is poker frustration. If you have ever found yourself making a decision at the table despite knowing that it is not the correct one, you have been on tilt. Don’t worry, though – all poker players, even the greatest ones in the world, will have experienced this at some point! The purpose of this article is to help you recognize your own tendency to tilt and give you advice on how to deal with it, so you can make sure that you are always playing the best poker that you can. Next time you sit down at the poker table, try to be mindful of your emotions throughout the session to work out what the triggers of your tilt are. Also note that lack of sleep, being hungry or being stressed outside of poker will definitely make you more susceptible to tilt. Try to avoid playing in such conditions. It is also useful to be aware of some of the different types of poker tilt that exist, as some are less noticeable than others and you may be affected by them unknowingly. The most typical type of tilt is that which makes a player uncharacteristically loose-aggressive, quickly trying to win back their recent losses by overcalling and overbetting far too much. These players are forgetting poker is a marathon, not a sprint. An upswing might be just around the corner. When you have won a few big pots, some players become scared to lose the money which they have earned and play tighter as a result. Though typically less harmful than chasing-your-losses tilt, it is still a state of mind that will prevent you from making the correct decision on the felt. Players who suffer from fearful tilt will often cut good sessions short with a “lock it up” attitude. This attitude can be especially dangerous as it places too much importance on the results of a single session. Conversely, some players who are having a big winning session may mistake their good fortune for superiority and invincibility. They will begin to spew money in pots due to the feeling that they cannot lose. This mindset is dangerous and can be a quick way to wave goodbye to the stack that you’ve earned. Remember that variance comes with the territory. If you find yourself going on tilt after losing an unlucky hand, remember that variance is an inevitable part of poker. You can still lose money despite making the correct decision. If your opponent played badly, got lucky and caught one of their outs against you, try to smile and move on. Continue to play well and continue to try and capitalize on your opponent’s mistakes. Take breaks. If notice that you are emotional and your play is being affected as a result, take some time out. Pop to the toilet, get some fresh air, or take a brief walk. Reflect on your emotional state and try and return to the felt feeling positive. If you cannot get your emotions under control, simply call it a day – poker will always be there tomorrow! Invest in a stress ball. Though it may sound silly, stress balls have been proven by scientific research to alleviate emotional distress, making them a perfect solution to your tilt at the table. 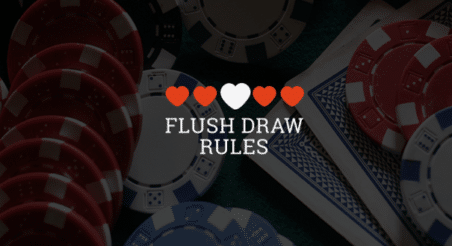 Even if you are an excellent poker player, going on tilt and failing to control it makes skills irrelevant and can do serious harm to your bankroll. By recognizing what triggers your tilt and being aware of when it is happening to you, you can successfully prevent it from turning you into an emotional, volatile player and maintain the objective and rational mindset that is so fundamental to being great at poker. Read more on this topic with Why Tilt Gets A Bad Rep (And How to Combat It).